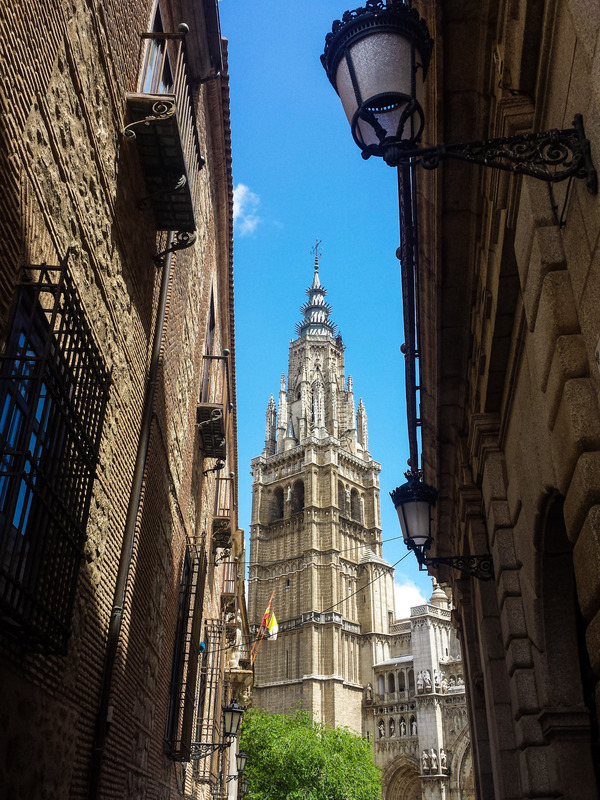 If you are visiting Madrid you will no doubt take a day trip to Toledo. 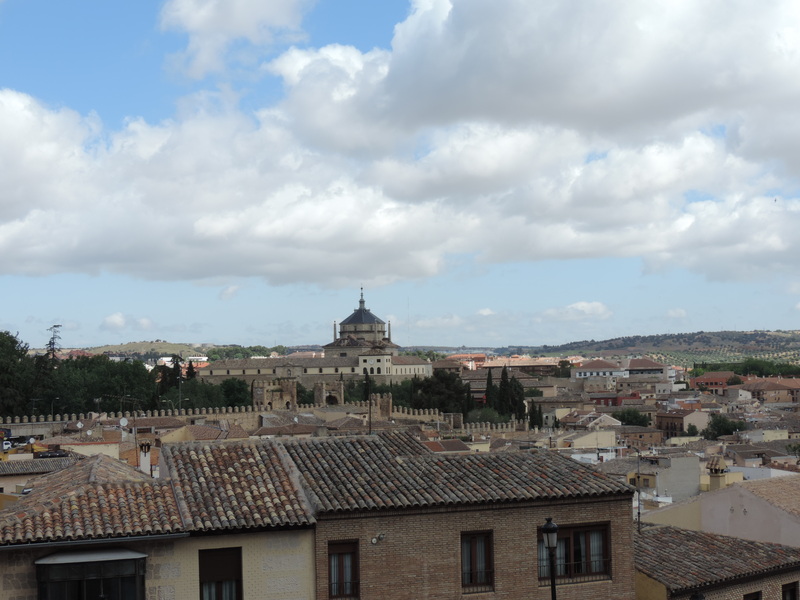 It’s the shining star of the Castilla la Mancha region in Spain. 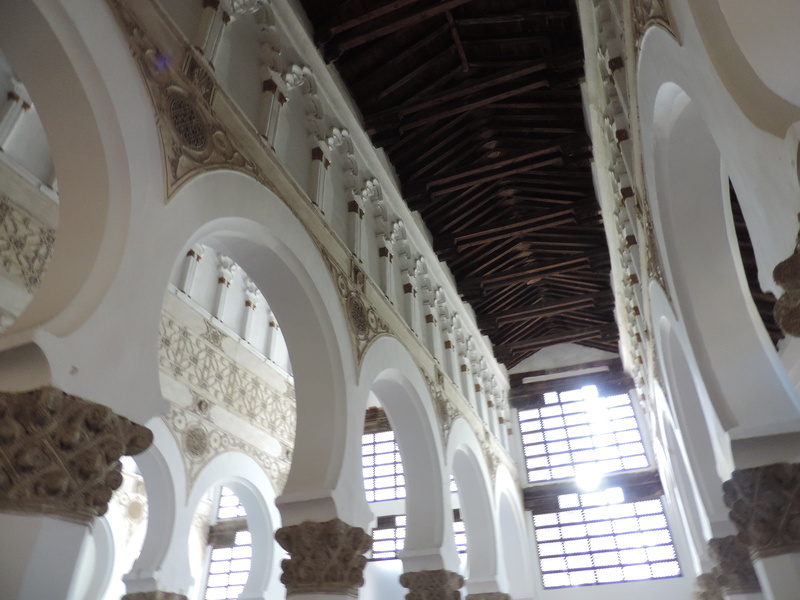 It’s one of the most popular and easiest day trips from Madrid, giving you no excuse not to go. How do you get there from Madrid? That’s easy, you can either take the train or the bus. The train leaves from Atocha Renfe station. 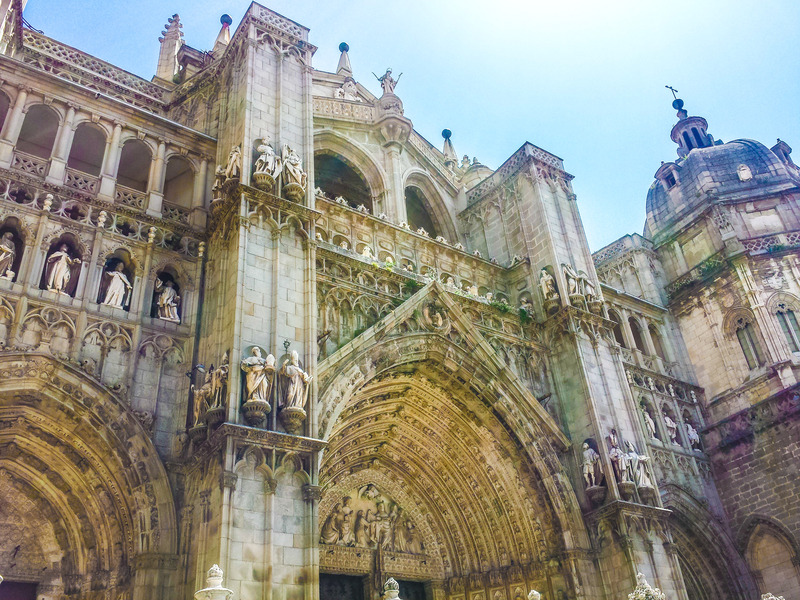 It is a high-speed train and it only takes 30 minutes to reach Toledo. There are trains about once an hour. The return costs €20.60. If your budget allows, the train is quick and efficient. Check out the renfe website for train times and prices. The bus leaves from Plaza Eliptica, which is a little further away than the train station. It costs just under €10 for a return. Check the alsa website for bus times. Be careful which bus you get because the journey time varies. Some will take 1 hour 30 minutes others will take an hour or 45 minutes. Your tickets don’t have a time on them so make sure you get there early enough to get a seat on the bus you want. I have used both the bus and train. I prefer the bus, not only is it €10 cheaper, but you have less of a walk from the bus station into the city. I always find that just wandering around gives me the best feel of the city, but of course you should see the major points of interests. 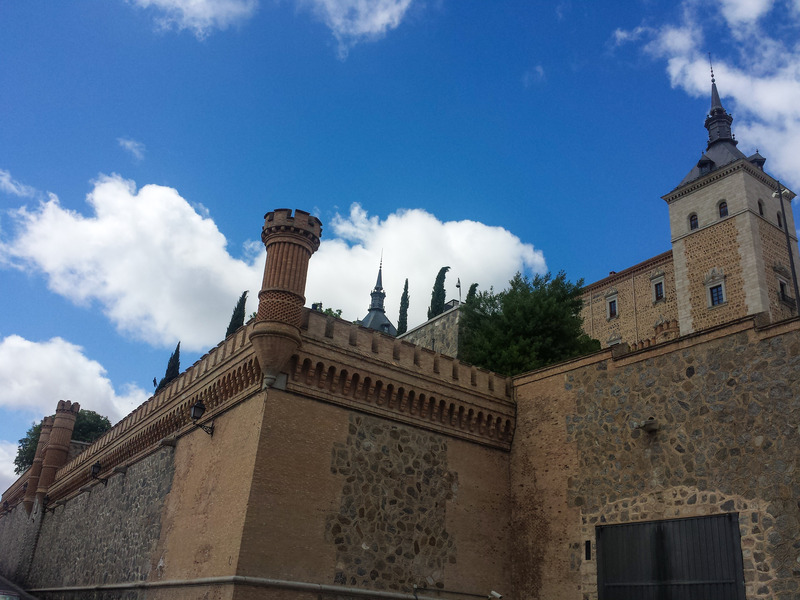 In Toledo the two must sees are the cathedral and the Alcázar. 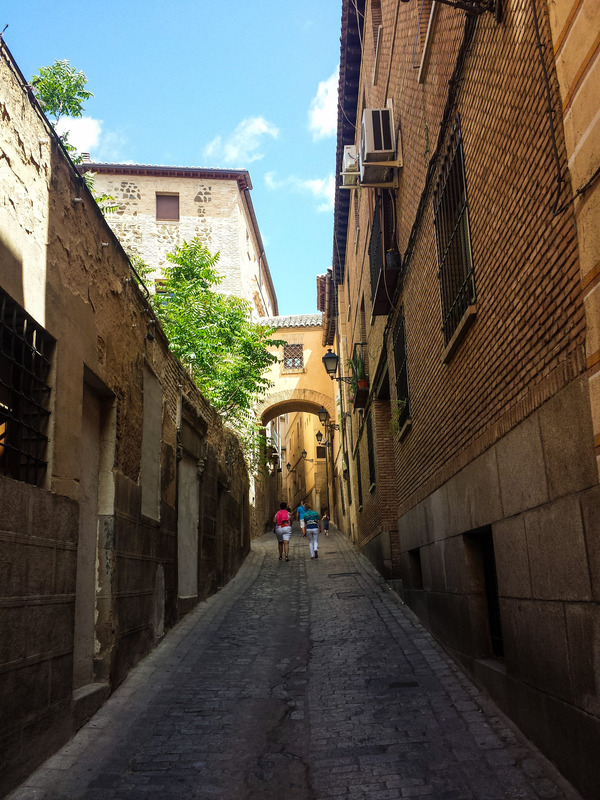 You should also take a wander around the Jewish quarter. 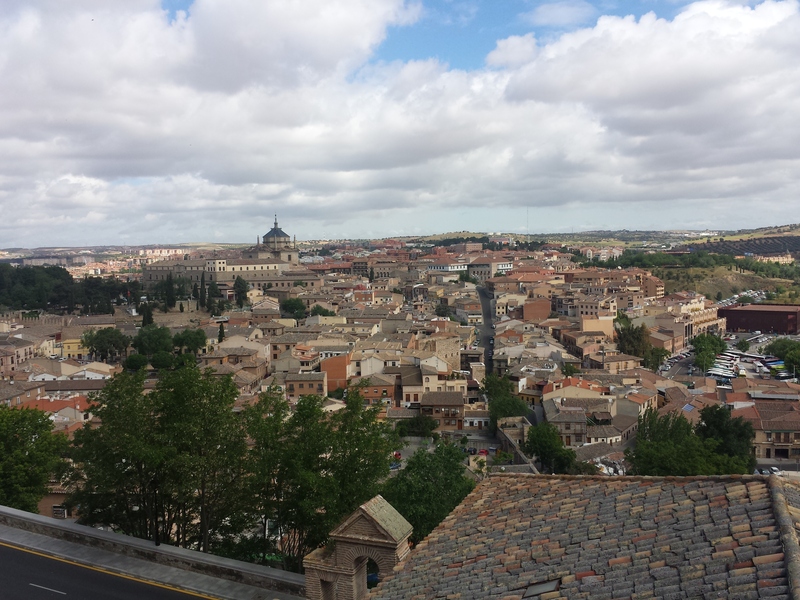 Go and look at Monastery of San Juan de los Reyes and go and see one of the many great views from Toledo. For those on a budget I know the perfect place to eat. 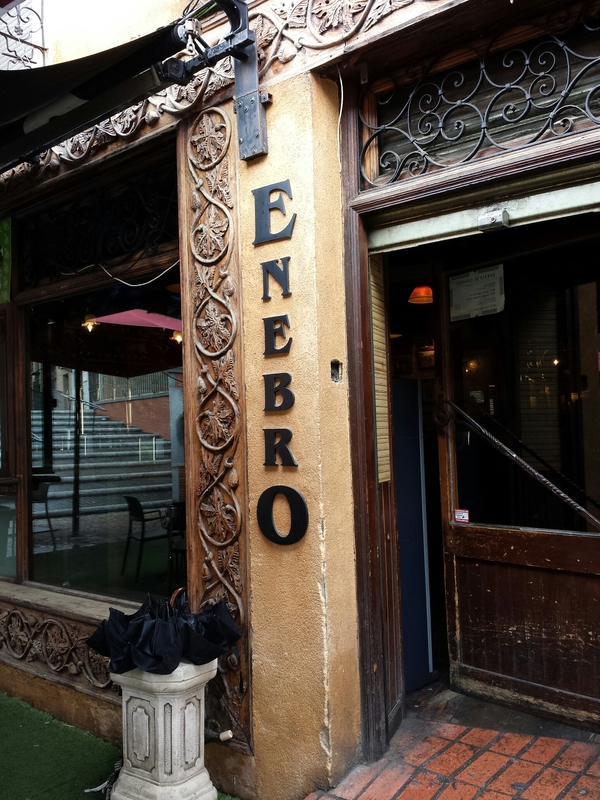 Enebro is located in Plaza Santiago de Caballeros, near museo de Santa Cruz and the Alcázar. 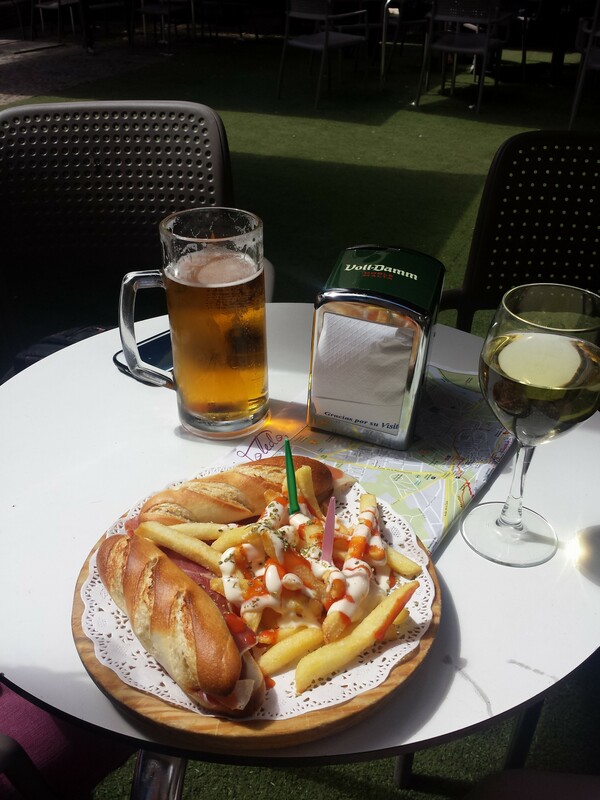 When you order drinks, which cost around €2/3, you get free sandwiches and chips. If you ask me that is not a bad deal. You can keep ordering drinks and getting free food or you can order extra food like we did. 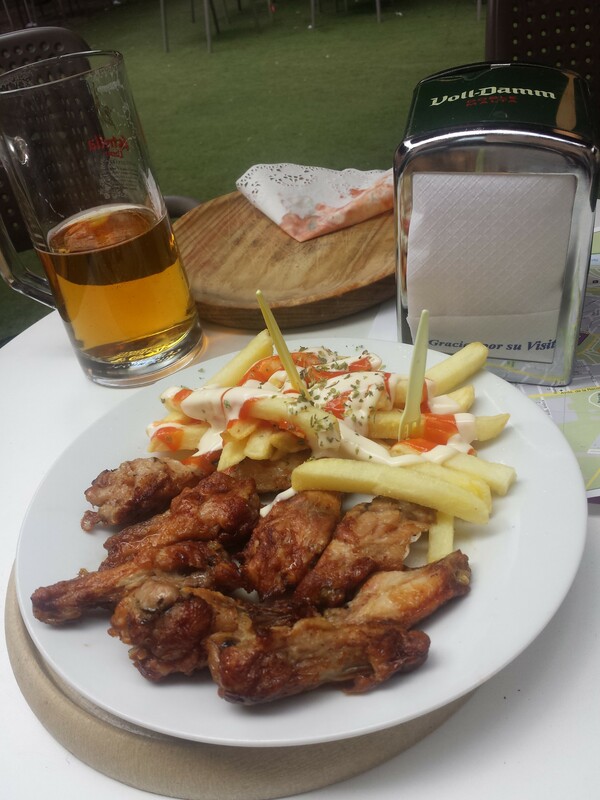 We got chicken wings and chips for about €3, if I remember correctly. 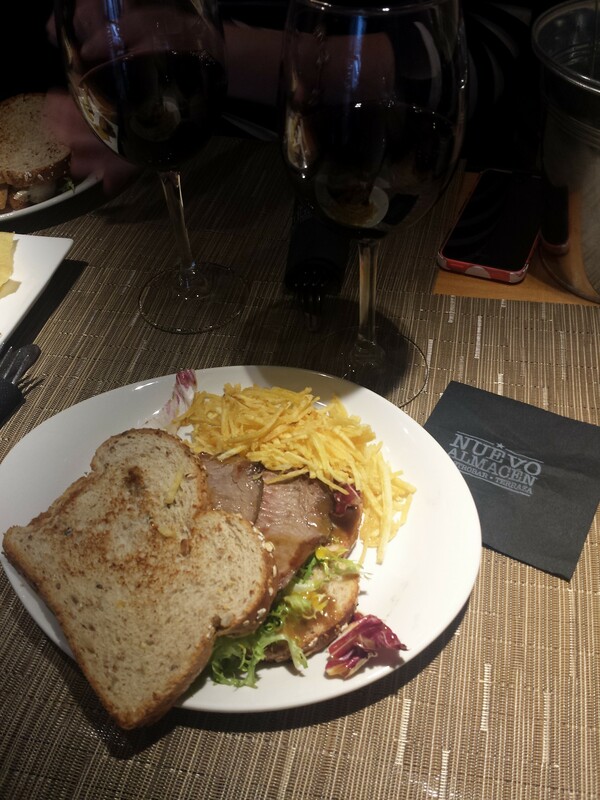 Another great option for food is Nuevo Almacen. 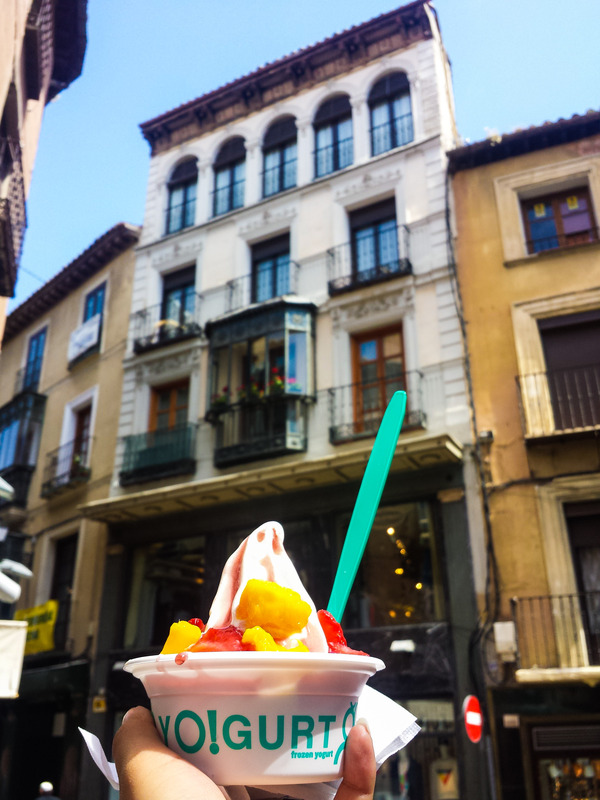 While their raciones might be on the expensive side, their sandwiches (€3.25) and burgers (€7.50 – €950) are relatively cheap and delicious. It’s on Calle Nueva. 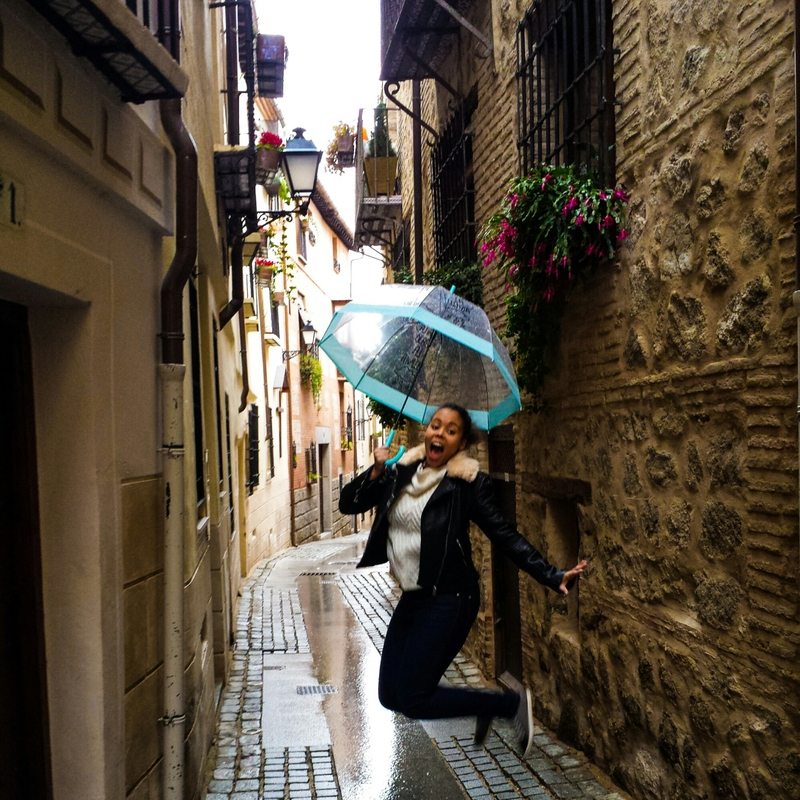 I hope you enjoy your day trip to Toledo, or why don’t you check out Segovia, another great day trip from Madrid.